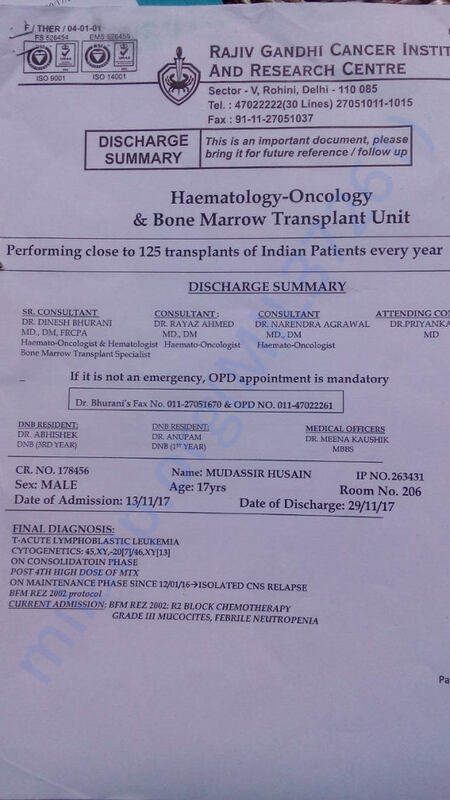 Help Mudessir Fight Blood Cancer. 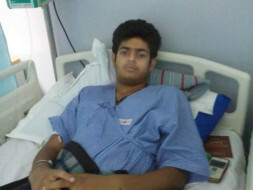 Mudessir is 21 years old fighting with blood cancer Acute Lymphoblastic Leukemia need Steam cell transplant. 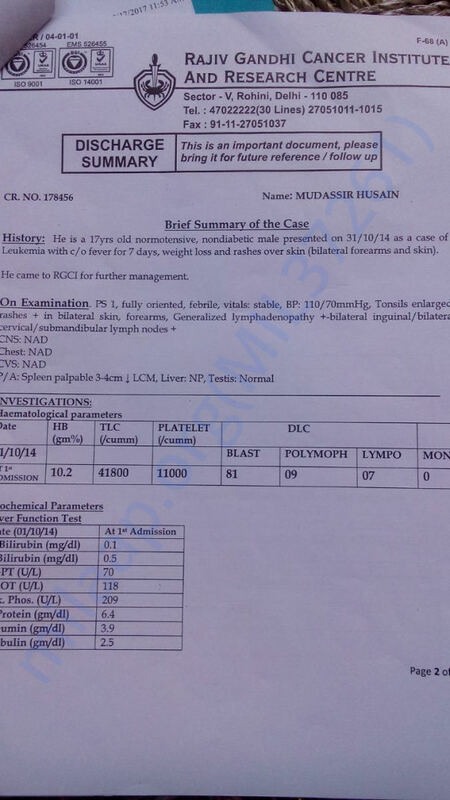 Mudessir was leading a healthy &happy life he had everything family,friends,education,relative. He had a dream to become a engineering and to support his family. 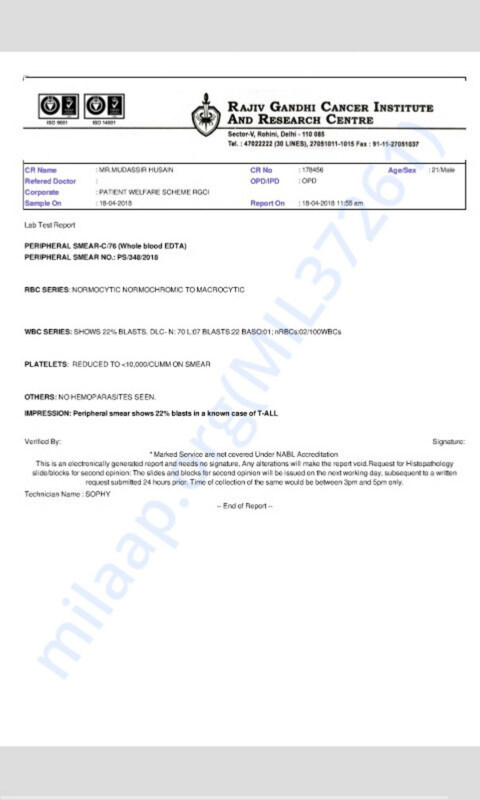 Because before the final in 2015 at night his noise start bleeding when he gone for the Diagnosis in Rajiv Gandhi hospital new Delhi.There diagnosis with blood cancer ♋. 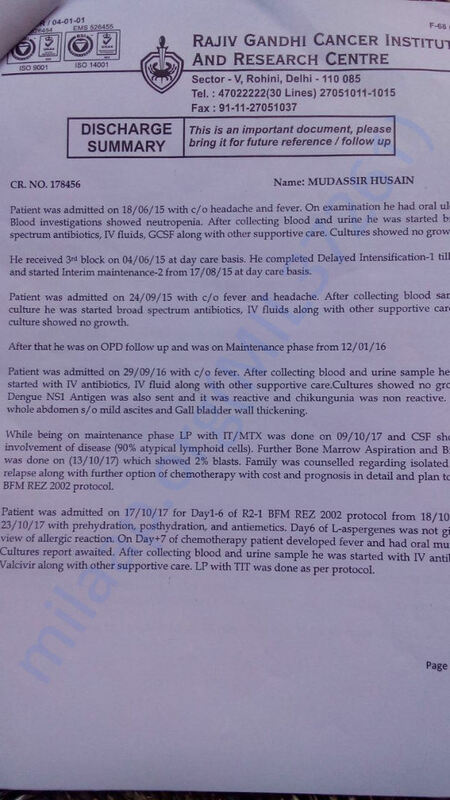 But Mudessir's parents didn't know how they will got the money for the treatment Mudessir's father and mother sold his home and jewellery for the treatment but it was Not much for the treatment of Mudessir. But now my parents didn't have much money for the my treatment because i need Acute Lymphoblastic leukaemia (ALL) Required a Stem cell transplant it requires 2000000₹ . But now I think I would not carry my responsibility about my sisters and I would not complete my dream. 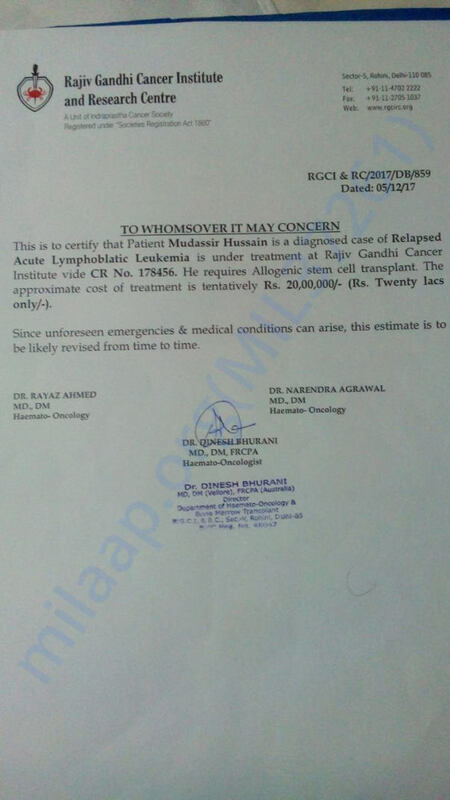 How Mudessir fighting with cancer from 4 year? 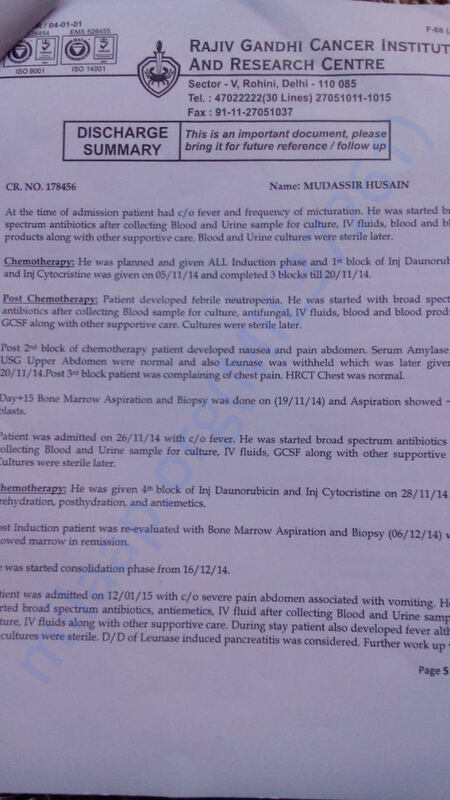 Is block cycle was given 5/11/14 and completed three block cycle till 20/11/14 without any side effect after some Tim doctor decided to give him 4th block on 28/11/14 he had no considerable side effect of chemo so as he discharge. Admitted on 31/10/17 on day +14 again with oral mucositis with dry cough investigation showed pancytopenia . I want to inform you that Muddessir, is no more and I got this unfortunate news from his family. We will be transferring the funds raised to the account of the beneficiary's family, for the medical expenses incurred.